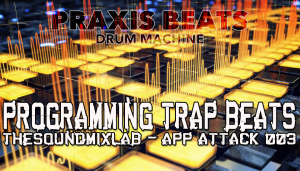 Praxis Beats is a retro-elegant interface for electronic rhythm composition. Express yourself with absolute precision and maximum control over your beats. • Drum Rolls: Instantly glitch or retrigger any beat. • Maximum Control: Individually control the volume, panning, and speed for every sound down to 1/128th notes. • Batteries Included: 2 touch-controlled effects pads, programmable to control any of 9 different effects. • Live Record: Record your sessions as wav files. Upload them directly to Dropbox®, email, or SoundCloud®, or use iTunes File Sharing to retrieve them manually. • Save Songs: Save and load different songs. Praxis Beats autosaves for you as well. And, you can back up your compositions using iTunes File Sharing. 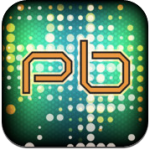 • Absolute Precision: sample precise rendering from 10 to 999 BPM. 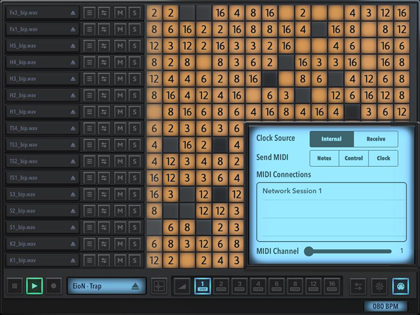 • Multitouch Manipulation: Speed up your creation process by allowing multiple fingers, hands or people to control the sequencer grid, effects pads, or note graphs. • Meta Controls: Controls provided to clear out the sequencing for any row or for the whole song. 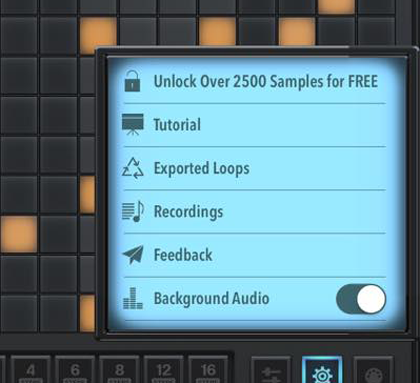 • Feeling Lucky: Randomize the sequencing for any row or for the whole song. • The Basics: Individual controls for each sample track, including mute, solo, volume, and panning. • Start Jamming: 7 royalty-free drum kits are included for a total of 112 drum samples. 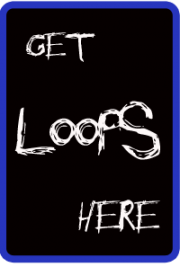 Made by EioN and James Frame, LA’s hottest new producers. 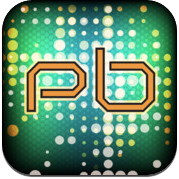 • Audiobus Support: Stream audio from Praxis Beats to other apps.